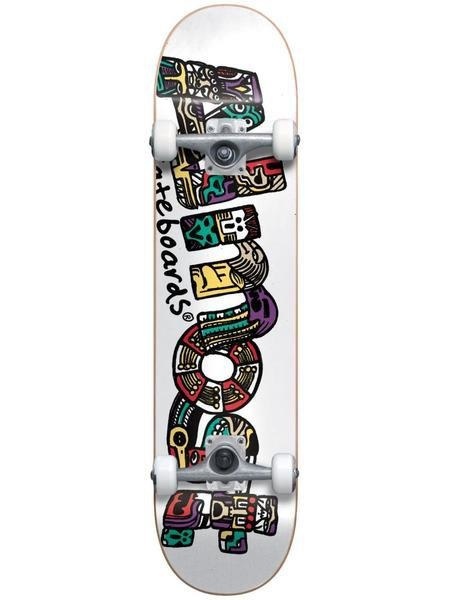 Almost Aztecian 7.25 Soft Wheel Resin Complete Skateboard MID Width: 7.25" White Features: Soft Wheels: · Extra Soft 83 A Durometer Wheels. · Smoother Roll on Rough Surfaces. Resin Complete: Specifically designed for durability and performance. 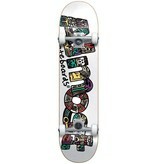 The Resin deck is lighter and keeps it’s pop longer than normal water based decks. · 7-ply 100% Hardrock Maple with Epoxy Resin Glue. · Single Deck Press (Same shape and concave every time). · Carbon Steel Speed Bearings. Why its Better: · Stronger and lighter than industry standard completes. · Improved wheel formula for park and street. 90 Day Warranty Against Warpage and Manufacturing Defects.